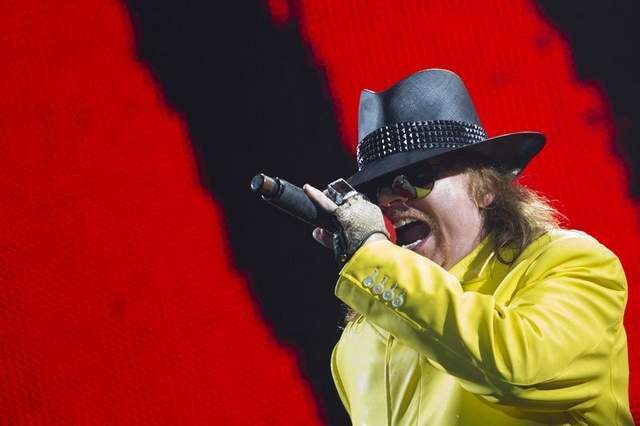 Axl Rose has scheduled his first performance in his home state of Indiana since 1992. Guns N' Roses will perform December 8 at Conseco Fieldhouse. Tickets, $30 to $75, go on sale at 10am on October 22. Lafayette native Rose moved to Los Angeles in the 1980s and formed Guns N' Roses, a hard-rock phenomenon that's sold more than 100 million albums worldwide. Rose, however, is the lone remaining member from the band's best-known lineup. Guns N' Roses presently consists of Rose, guitarists DJ Ashba, Richard Fortus and Ron "Bumblefoot" Thal, keyboard players Dizzy Reed and Chris Pitman, bass player Tommy Stinson and drummer Frank Ferrer. The band's Use Your Illusion tour included two stops in 1991 at Verizon Wireless Center (known then as Deer Creek Music Center) and one stop in 1992 at the RCA Dome (known then as the Hoosier Dome).